Has the Church Surrendered Its Responsibility to the Academy? A few years ago, I had the opportunity to train 80 high school students at Crossline Church here in southern California. These students were capable and willing to engage the tough issues at a high level, and their churches and Christian high schools have embraced the mission. Students have a growing number of opportunities to continue their education in Christian Case Making (Apologetics) at the University level, should they choose to do so. The number of degree programs in apologetics, Christian philosophy or Christian thought is growing every year. Students who begin training with us in high school can continue this training at the university level. While this is certainly encouraging, one thing is certain: The academy will never replace the Church. We are definitely experiencing a renaissance in Christian apologetics, as evidenced by the number of programs emerging around the country. But I can’t help but wonder if Christian universities have simply recognized an important failing of the Church. These apologetics and philosophy programs aren’t, by and large, professional degree programs, after all. Few, if any, of the graduates from these programs become professional apologists (I’ve met many graduates from these universities who are working as tent-makers in other professions). The degrees they earn in apologetics will help them to think critically and develop a grounded Biblical worldview, but they probably won’t help them pay the bills. In this sense, apologetics programs are often more about personal growth than professional preparation. Men and women often seek programs of this nature because there simply isn’t any other place where the case for Christianity is robustly studied, discussed, and evaluated. They are keenly interested in knowing more, digging deeper, and becoming more articulate so they can share what they believe with others. Gee, doesn’t this sound like something the Church should be offering? I can’t help but wonder if the explosion of apologetics programs at the university level is inversely proportional to the disinterest the Church seems to have in apologetics. As the Church continues to relinquish its responsibility to train Christians, university groups are stepping in the gap. 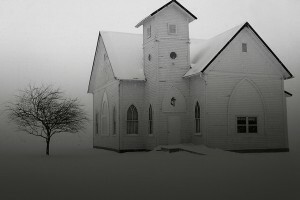 The less people receive in the Church, the more they are seeking at the Academy. But here’s my concern. The church ought to be the place where we equip “the saints for the work of service, to the building up of the body of Christ; until we all attain to the unity of the faith, and of the knowledge of the Son of God, to a mature man, to the measure of the stature which belongs to the fullness of Christ” (Ephesians 4:12-13). The university ought to be a place where we can also prepare vocationally. Sadly, many of us graduate from apologetics programs, equipped with the knowledge and wisdom we should be getting in our churches. It’s not too late to reverse the trend. It’s time for the Church to take back its responsibility to equip the saints. It’s time for pastors to recognize their responsibilities as trainers and case makers. While the academy may certainly continue to offer these important and valuable programs to those who want to reach higher levels of understanding, every church member ought to receive his or her “BA in Christian Case Making (Apologetics)” while training in the pews. The Academy shouldn’t replace the Church in this mission. It’s time for the Church to embrace its responsibility to train the family of God so we can all become good Christian Case Makers.